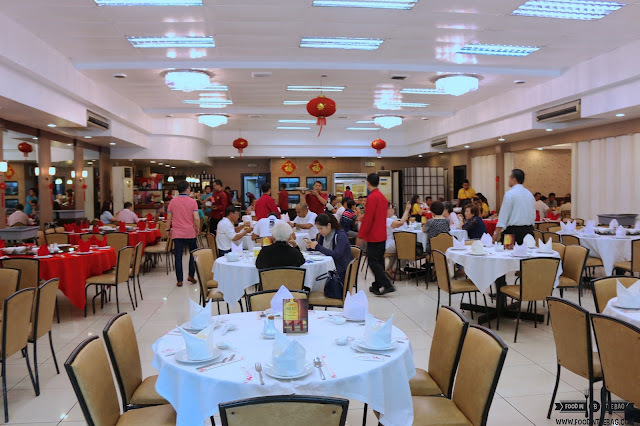 New Chinese Restaurants have been popping up left and right as of late. Even if this is the case, there is something alluring with an old classic. 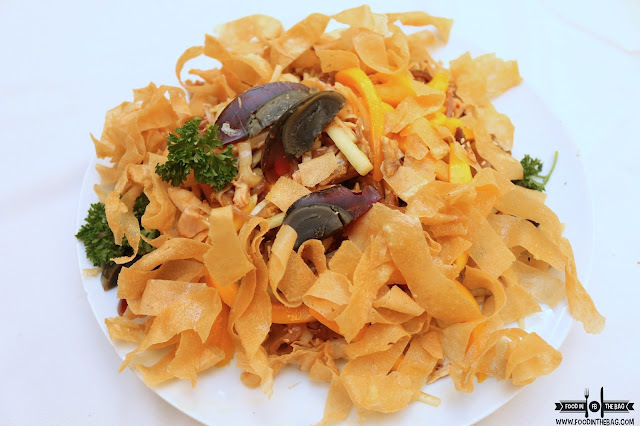 At HAI KANG SEAFOOD RESTAURANT, you are treated to delicious classic Chinese dishes. 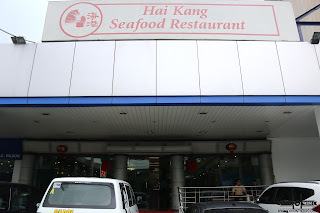 HAI KANG is located along Wilson St., in Greenhills. Parking might be a problem but do not let this hinder you as the cuisine they serve are delightful and worth the visit. Dishes are also served in different sizes. Hence, you are able to choose the amount of food depending on the number of guests that you have with you. 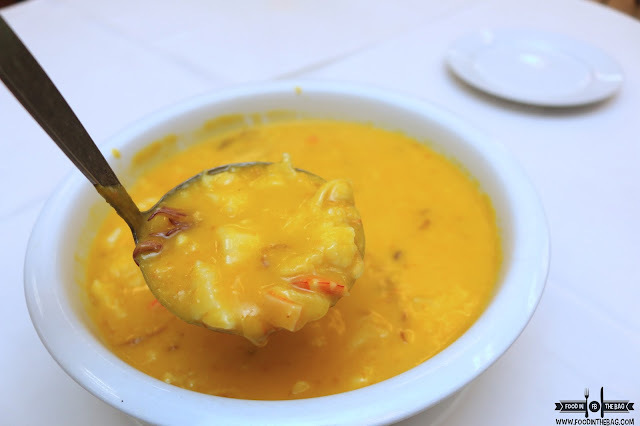 For starters, guests might want to try out the SEAFOOD PUMPKIN SOUP. Something warm to prepare the appetite, the soup has a curry flavor mixed into it. Different types of seafood are also present. It is amazing how a simple ingredient could be transformed into a dish with a lot of flavor and texture. Take for example, chicken. Here, it could be a cold cut surrounded by deep fried wanton wrapper and some mangoes and century egg. Producing a crunchy dish perfect for the kids. 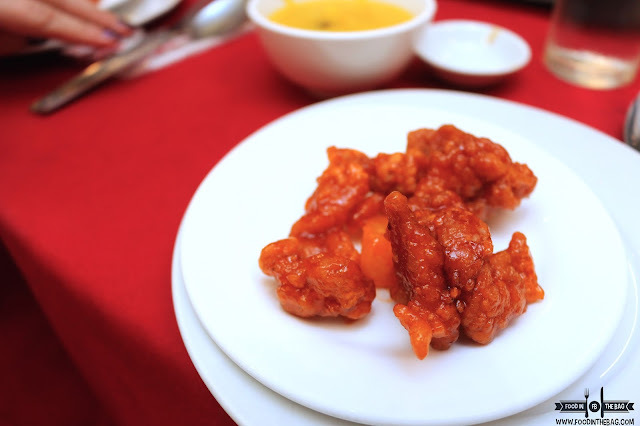 On the other hand, it could cooked and mixed with SOY to produce a moist and tender product. 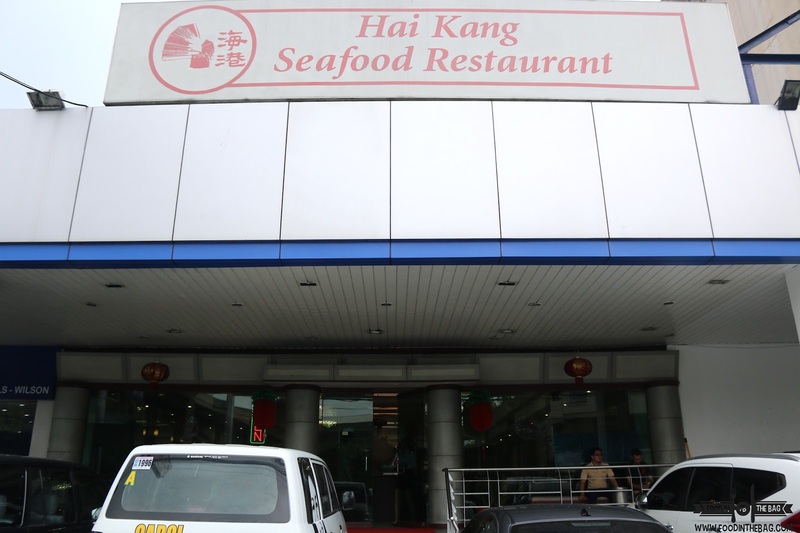 Being named as a SEAFOOD RESTAURANT, HAI KANG knows its a b c 's of the sea. 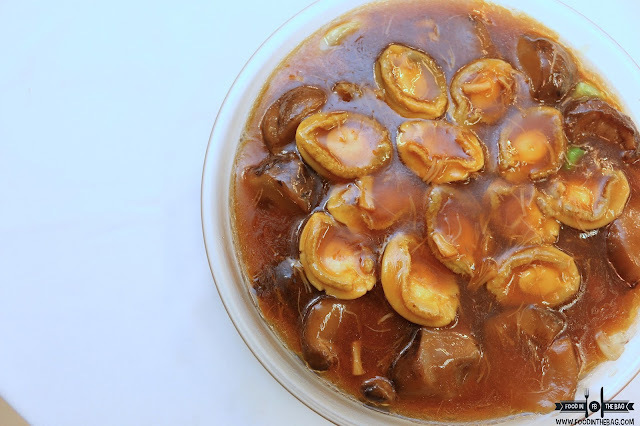 ABALONE is served with mushrooms that make it as savory and decadent as ever. 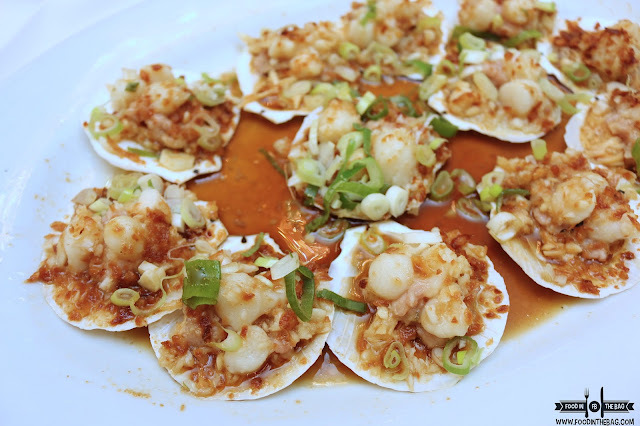 SCALLOPS are baked with different herbs and spices to make it enticing to the patrons. 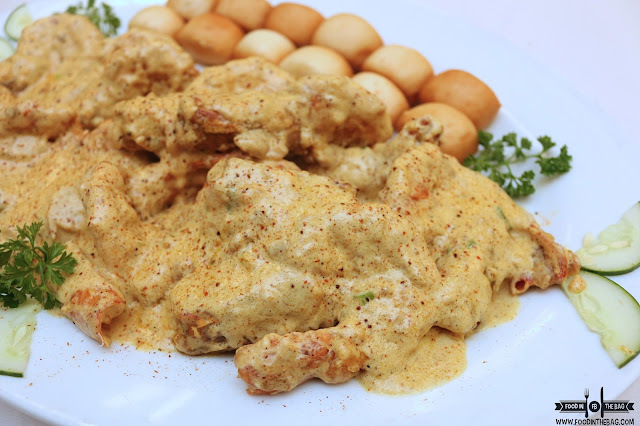 Huge prawns are cooked in Laksa sauce to deliver an interesting twist. 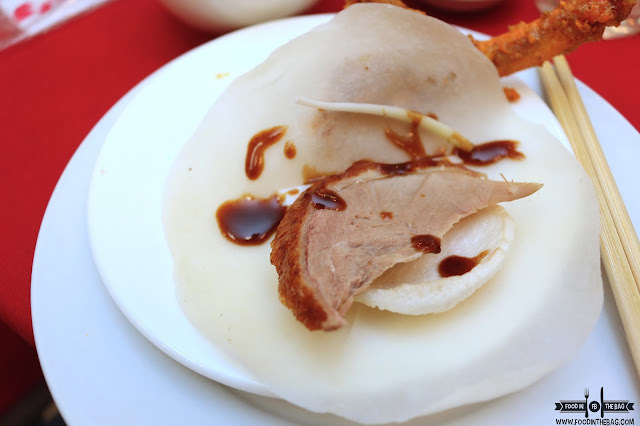 Partner it with the mantou to scoop up the juices. Fresh GAROUPA will be picked from an aquarium and cooked in the simplest of ways. This is to bring the flavor out from the fish rather than covering it. Each bite is smooth and heavenly. 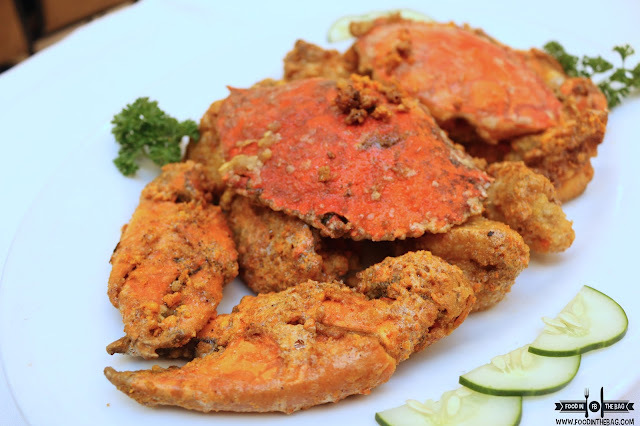 HUGE CRABS are also available at HAI KANG. Different suggestions are given as to how and what way to cook them. 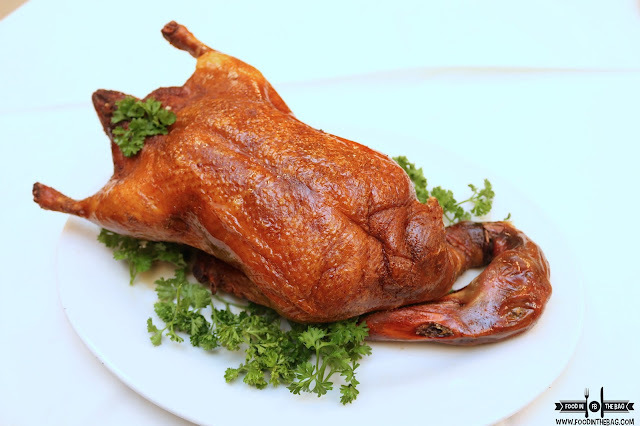 Some would prefer that it be breaded and cooked with just pepper and other spices. 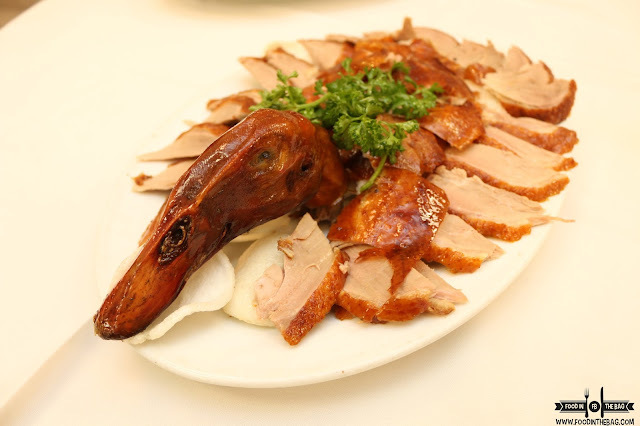 Since HAI KANG is a Chinese Restaurant, the mandatory must order dish would be the PEKING DUCK. Beautifully presented and cooked, this duck is a form of art. The skin was light yet crispy. 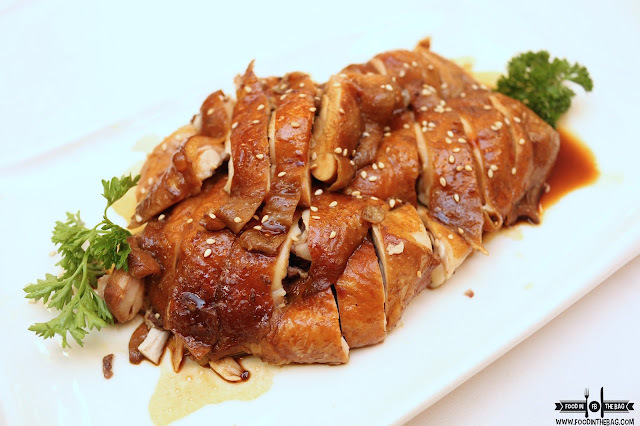 Having it wrapped in pancake with a dab of hoisin sauce gives it a deadly yet scrumptious blow. After cutting and presenting the meat, the rest are cooked in another way. Deep fried and with lots of pepper, garlic and other spices. Perfect to go with rice. 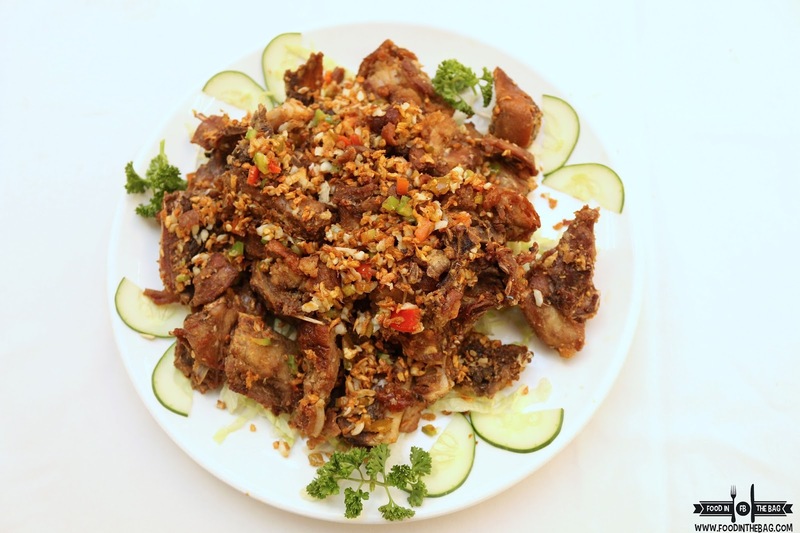 Speaking off rice, when at a Chinese Restaurant, Filipinos tend to order one thing. 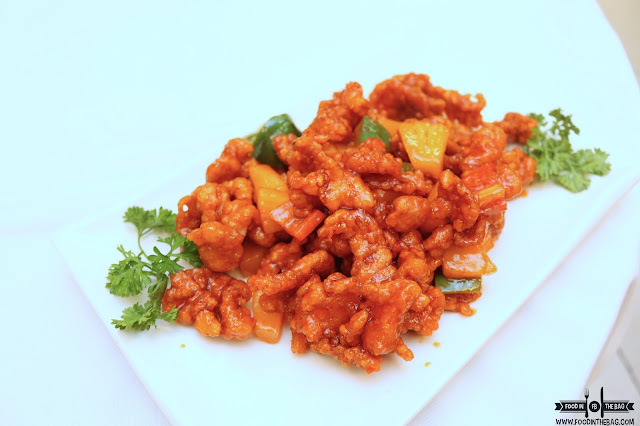 The Sweet and Sour Pork. Their version has the right amount of meat and seasoning. 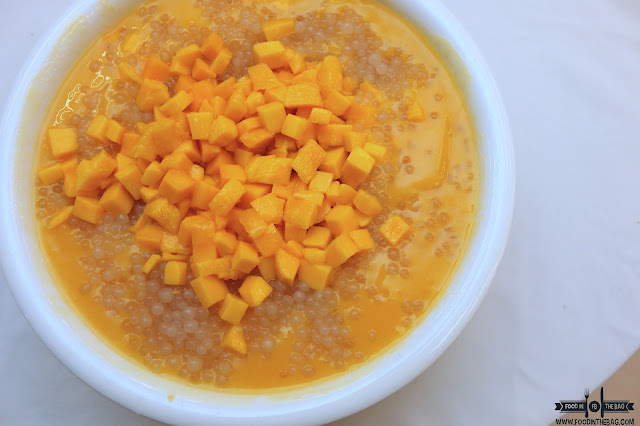 A bit on the sweet side, this would go perfect with any type of rice. The Perfect Match. HAI KANG lives up to its name. 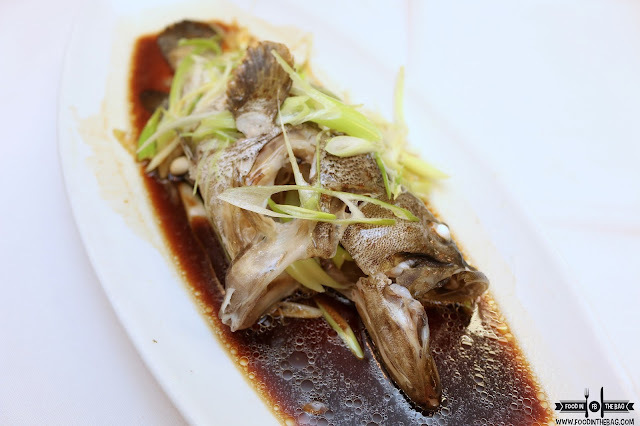 Seafood dishes are straight forward and definitely delivers. The quality and quantity of the dishes are proportional with the amount of money you pay. The only hard part is parking but that is easily remedied by going here early or being able to have someone drop you off. Definitely a must revisit. Disclaimer: Wrote this based on my experience. Was invited to try out this restaurant.